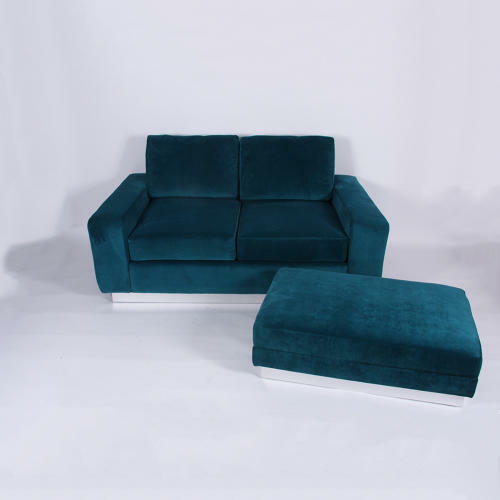 A gorgeous set of two sofas with a matching ottoman in a modern 1960's design with nickel bases, made by S.A.N.Z. Creations. Fully re-upholstered in a beautiful and hard wearing teal velvet. Complementary orange made-to-order cushions also available.